In the past, I used to always think that God’s words “a puppet and traitor who flees from the great white throne” were referring to those who accept God’s work in the last days but who then retreat; to me, they were all people who weren’t willing to endure the pain of being judged and chastised. Therefore, whenever I saw brothers and sisters retreat for whatever reason, my heart would be filled with contempt toward them, thinking: “There goes another puppet and traitor fleeing from the great white throne who shall receive God’s punishment!” Each time this happened, I felt I was behaving properly in accepting God’s judgment and was not far from receiving God’s salvation. 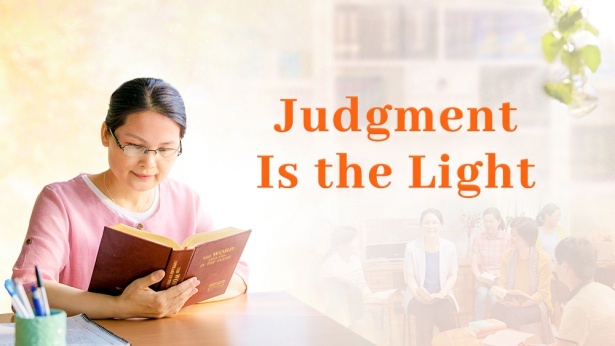 One day, when I was practicing spiritual devotion, I saw the following words of God in the text “Christ Does the Work of Judgment With the Truth”: “For the substance of this work is actually the work of opening up the truth, the way, and the life of God to all those who have faith in Him. This work is the work of judgment done by God. If you do not regard these truths with importance and constantly think of avoiding them or of finding a new way out apart from them, then I say you are a grievous sinner. If you have faith in God, yet seek not the truth or the will of God, nor do you love the way that brings you closer to God, then I say that you are one who is trying to evade judgment, and that you are a puppet and traitor who flees from the great white throne. God will not spare any of the rebellious that escape from under His eyes. Such men shall receive even more severe punishment. Those who come before God to be judged, and have moreover been purified, shall forever live in the kingdom of God” (The Word Appears in the Flesh). After contemplating these words, I finally realized: It turns out that the puppets and traitors who flee from the great white throne don’t just refer to those who have accepted God’s work of the last days but later retreat. These words mainly refer to those who follow God but don’t love the truth and get sick of the truth; they refer to those who don’t focus on seeking the truth within God’s words and practicing the truth when they encounter issues. All those who have believed in God for years but have continued to live outside of God’s words, and who never accept God’s judgment, chastisement, dealing with, or pruning, are puppets who flee from the great white throne. Under God’s enlightenment and guidance, I started to reflect: God is now expressing His words to judge man, and He is purifying the satanic poisons within people, by means of tribulations and refinement. But every time God’s chastisement, judgment, tribulations and refinement come upon me, I am not willing to submit to God’s orchestrations and arrangements, to seek the truth, reflect on myself and learn the lessons. Instead, I am always trying to escape, hoping that God will quickly move these situations away. Is this not evading the truth and rejecting God’s judgment and chastisement? When the people or things brought on by God don’t match my personal conceptions or cause me a little fleshly suffering, I fall into a negative state. 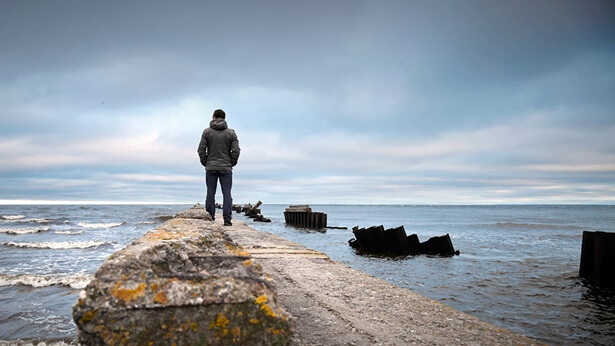 Even if the fellowships of brothers and sisters can clear up my misunderstandings of God, and resolve my problems, I still resist and refuse to listen. Isn’t this not seeking the truth and not loving the way that brings one closer to God that God’s words talk about? When I am dealt with and pruned for the perfunctory way I carry out my duty, I am always looking for excuses to explain myself and shirk my responsibility. Is this not an essence that refuses to accept the truth? I often safeguard my fleshly interests and indulge myself in sinful pleasures. When I read God’s words, at the time I would hate myself a bit and feel self-reproach within my heart. After that, I kept on doing things my own way and just indulged myself. Is this not merely accepting judgment but not seeking to be purified? Now that I think about it, I can’t help but feel fear and tremble when I think of my own expressions. Even though I had not left the church and I still read God’s words and performed my duty as usual, whenever I encountered an issue I always refused to accept the truth and I evaded God’s judgment; I had never experienced God’s words or put them into practice. Am I not precisely the puppet and traitor who flees from the seat of God’s judgment? Yet I had believed that I was very close to receiving God’s salvation. I see that my understanding of God’s word was too one-sided and shallow, and that my knowledge of God’s work was too lacking. Now, only those who obediently accept God’s chastisement and judgment and whose dispositions have achieved change will truly receive God’s salvation. Instead, I was living in my own conceptions and imaginings, not hungering after the truth, not taking responsibility for my own life, and having no sense of danger or urgency at all. If I continued like this, would I not precisely be the object of God’s punishment? I give thanks to the enlightenment of God’s words for awakening me from my own conceptions and imaginings, realizing that I was not a person who was willing to accept God’s chastisement and judgment. It has also made me see that I am on the brink of danger. From now on, I will give my heart entirely to God, submit to His chastisement and judgment, and do my utmost to pursue the truth and dispositional change, so that I can soon be purified and made complete by God.